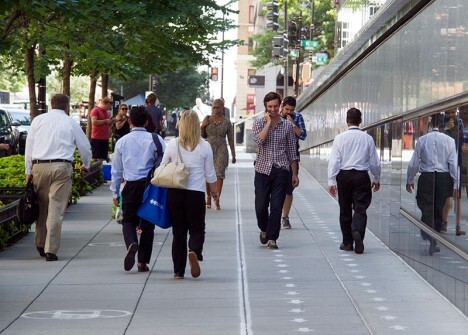 Once cars and trucks had the roads to themselves. Then came bike lanes and the big smokers were forced to yield some space to the clean two-wheelers. 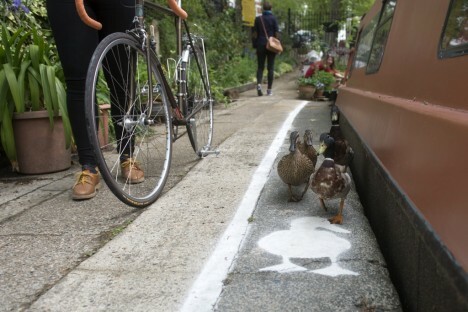 Now the bikers are getting a taste of what it means to share courtesy of some determined duck-supporters. 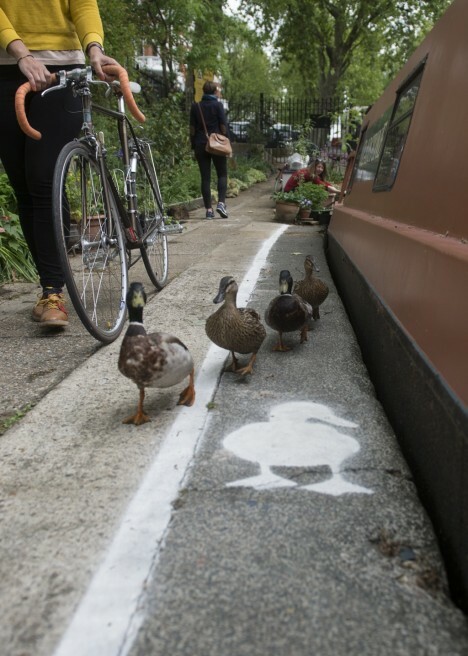 The new dedicated Duck Lanes are the brainchild of UK charitable organization Canal & River Trust, responsible for maintaining over 2,000 miles of inland waterways and the narrow towpaths that run alongside them. 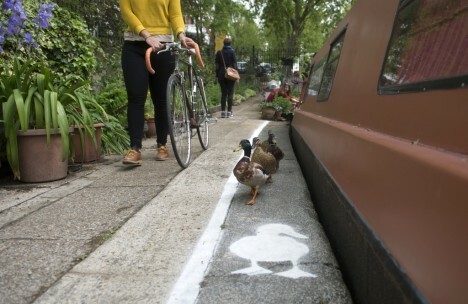 Said to be a temporary measure (sure, just like income tax), the dedicated Duck Lanes take a bite out of bike paths along certain waterways in London, Birmingham and Manchester. 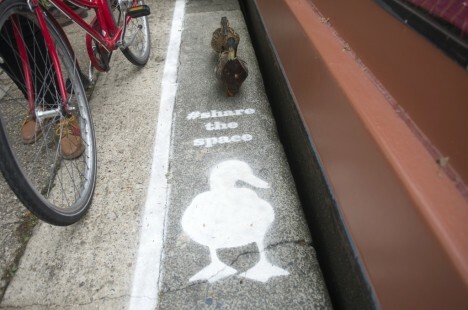 According to Richard Parry, chief executive of the Canal & River Trust, the initiative is part of the “Share the space, drop your pace” campaign meant to encourage cyclists and pedestrians to show more consideration to the region’s native wildlife. 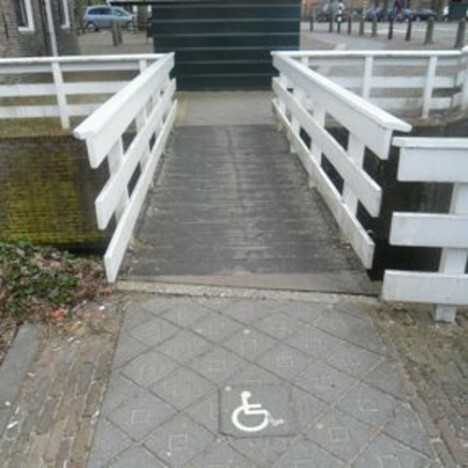 Europe is somewhat advanced in some aspects of civil/social planning – the stenciled wheelchair above is just one example. The author of Wheel Travel Blog noted the small but important symbol in front of a cafe in Middenbeemster, the Netherlands. 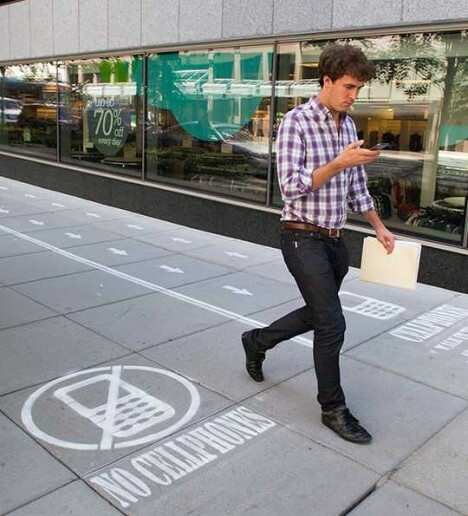 Producers of the National Geographic television series Mind over Masses decided to divide a Washington DC sidewalk into Cellphone and No Cellphone lanes, then sat back (with cameras running) to observe the results. Hilarity – and cooperation – did not ensue. 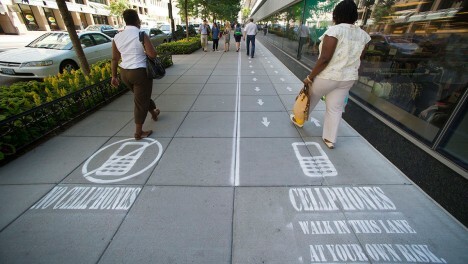 Though the project’s aim was to enlighten smartphone junkies (or smartphone zombies, as author Joop de Boer calls them) as to the perils of walking while watching a phone, the researchers had to admit they’d failed: “Most people without phones in their hand say to have seen the signs and liked the project,” stated one, “but the people that were watching their phones while walking did not notice the signs at all, as they were too much focused on their toys.” Like DUH!